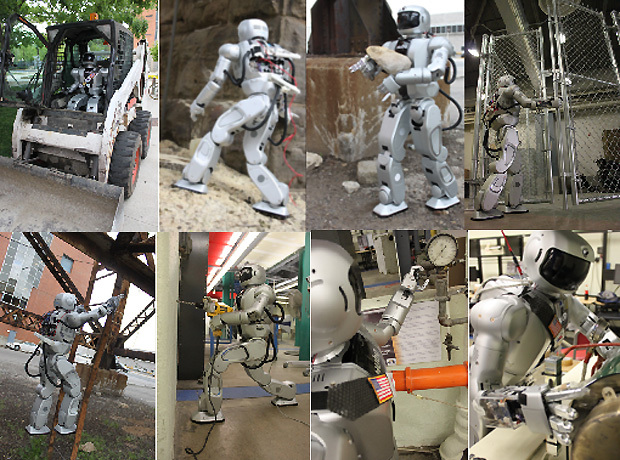 Later this year, some of the world’s most advanced humanoid robots—and their human masters—will gather for the DARPA Robotics Challenge (DRC), a competition where the robots will attempt to perform a series of complex tasks in a disaster response scenario. The highly anticipated event is still eight months away, but teams will also have to show that their robots can perform adequately in a computer simulation, which is coming up soon, in June. Teams are working frantically on their robots and simulations, and while some groups operate in total secrecy, others like Team DRC-Hubo are eager to show off their progress.